On Friday 30th October, two Fenmarc colleagues agreed to put their bodies on the line in order to raise over £1000 for Macmillan Cancer. 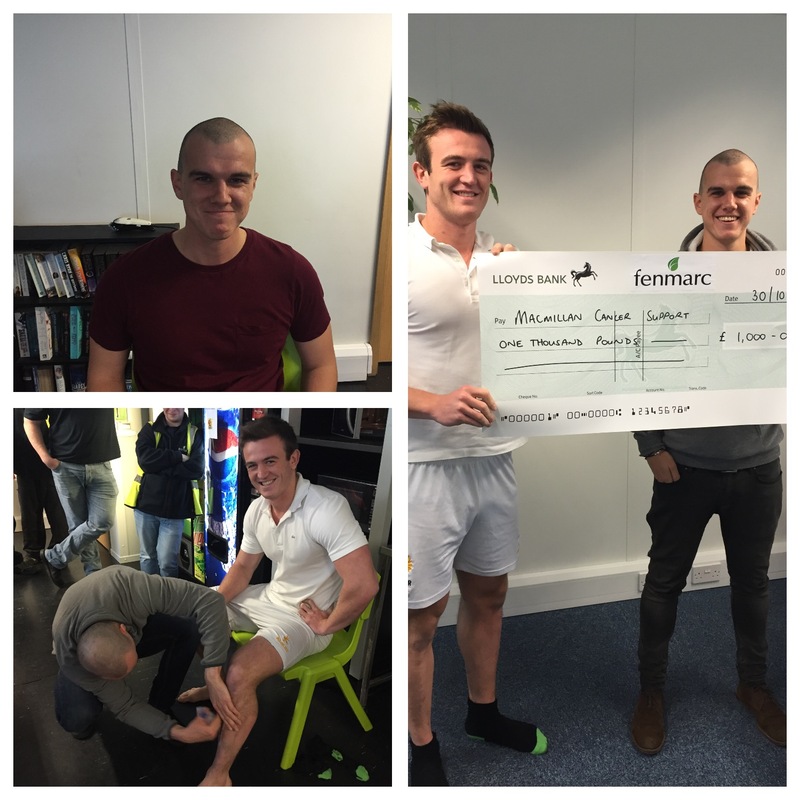 Joe Buckley agreed to have his head shaved whilst Aaron Wootton allowed us to wax his legs. This act raised a total of £1152.36. This fantastic amount is added to the £178.21 we raised in September for Macmillan coffee morning, meaning fundraising for Macmillan Cancer has now reached a grand total of £1330.57. This is a wonderful effort from all Fenmarc colleagues that have participated in either event or have donated money, so well done!